I was out and about early in the morning in search of typical seascape scenes. 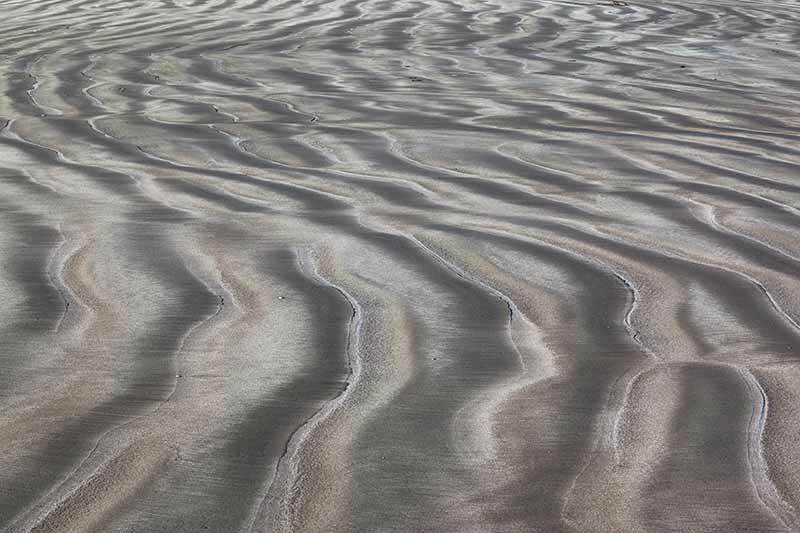 The morning was a rather nondescript affair until I was walking back to the car and noticed these sand patterns revealing themselves amidst the high-contrast side lighting. A long telephoto lens helped to extract as much detail as possible from the mini-scene.